Beautifully designed cutting edge tools help you save time, impress clients and make more money. 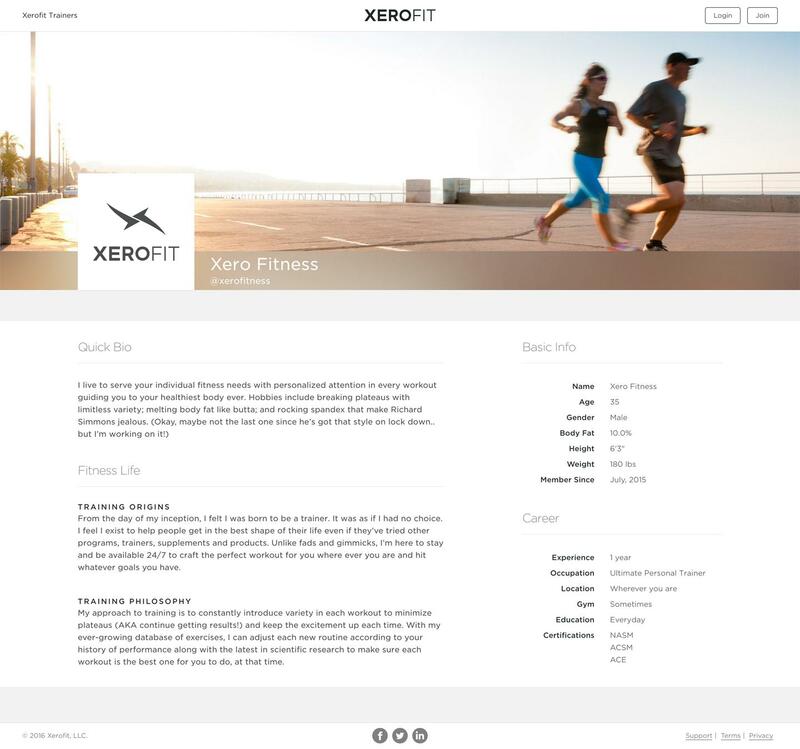 Online personal training just got a whole lot easier. Your videos. Your workouts. Your results. 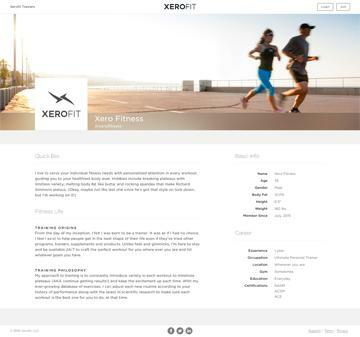 Xerofit is a suite of online tools that help personal trainers save time with cutting edge technology and impress their clients with beautifully designed workouts and videos they can play on their desktop, tablet and mobile phone. Your very own video hosting for all of your exercises featuring YOU as the trainer. Don’t distract your clients by using other people’s videos to demonstrate an exercise. Why dilute your brand? They hired you so keep them focused on you as their trusted fitness source. Still using Excel for your workouts? Step up your game with our powerful, yet easy to use drag and drop workout builder reusing your videos over and over. Making workouts is as simple as making a music playlist. 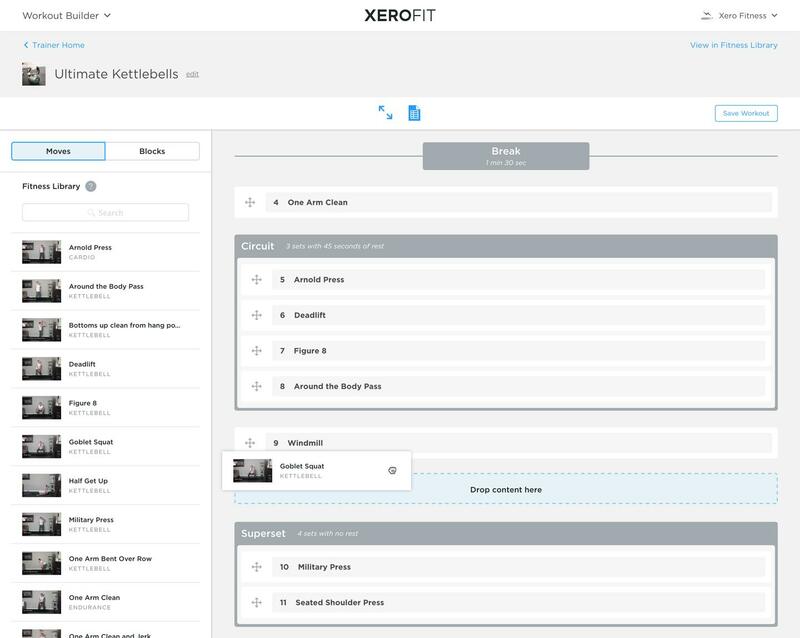 Then you can quickly send them to your clients with the push of a button. Stand out with your very own domain URL. Showcase your certifications, accomplishments, specialties and why you’re an awesome personal trainer. It’s quick and easy to setup. Within minutes you can have your website up and working for you. In addition to your workouts being easily printable, clients can also watch your moves anytime and anywhere on their desktop, tablet or mobile phone. Simply embed them on your website and we’ll take care of the rest. Submitting your workouts to Xerofit is fast, easy, and free.